True story: If you send me a cassette tape, I will totally listen to it. This is because 1) I have a working cassette deck at home; and 2) guess how often I get to use it? So I was pretty happy to get this demo cassette from D.C.'s Black Telephone yesterday. I was also pretty happy with what's on it: stripped-down, nostalgic indie pop with lots of fuzz -- although not as much fuzz as the classic, similarly named D.C. pop outfit Black Tambourine. Homage? Sure. In indie circles -- including some very mainstream indie circles -- limited-run cassette releases have been on the rise in recent years, as Pitchfork's Marc Hogan wrote in an excellent essay last February. We were hassled quite a bit for years at the merch table by snarky individuals asking why we didn’t have cassettes for sale. So we figured it was time to do that. Plus, we feel like it’s a much better cultural object than a boring CD that ends up in a closet after being ripped to a MacBook or [is] used as a coaster for a soy latte. The Cassettes' Countach tape came with a few things -- a toy car, for example, and a plastic horse. And, naturally: An mp3 download card. 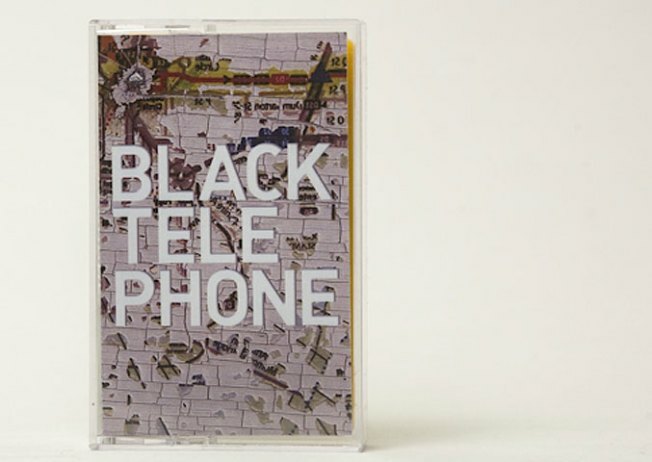 The Black Telephone tape also points to the band's site, where you can grab the four songs for free. Maryland's Fan Death Records also releases cassettes, including recent ones from D.C. bands Screen Vinyl Image and Bodycop. The label's Sean Gray even has a new, cassette-only imprint for "avant/fringe stuff" called 2,632 Tapes, which over the next year will put out releases by D.C.'s Phonic Riot, Gray's project Détruire Voile, and others. The imprint will release six tapes in 2011, in 100-copy runs. The Cassettes' Cinca used to play in Frodus, which released one cassette-only album in the '90s. If you search the Dischord online store for cassettes, you'll find a ton of stuff from that label and others, though it's mostly from the age when labels regularly sold tapes. What other D.C. bands have released worthwhile cassettes in recent years? My tape deck is lonely. On the Pleasures of Receiving a Cassette in the Mail was originally published by Washington City Paper on Jan. 12, 2011.